Horn Please is a documentary that encapsulates various aspects of an age-old folk art form of India - the Truck Art, an art form that makes journeys through the dusty highways of India, incredible in more ways than one. 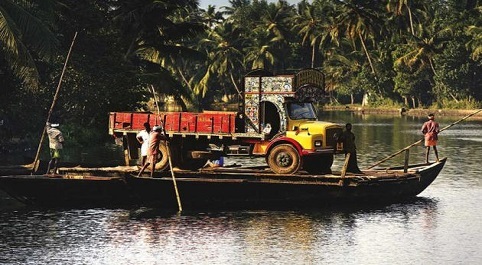 With a kaleidoscope of bright paints, motifs, typography and some unique couplets, these Indian trucks take you on a rather colorful journey of diverse cultures and beliefs of the country. The designs painted on the trucks do not merely stand for aesthetic purposes, but they also attempt to depict religious, sentimental, and emotional viewpoints of the people related to the truck industry. The title of the documentary - Horn Please - is derived from a message seen behind each and every truck in India. It is a signal for the vehicles behind the trucks to blow the horn before overtaking. The sheer exposure of the signage has led it to become a popular phrase among Indians.